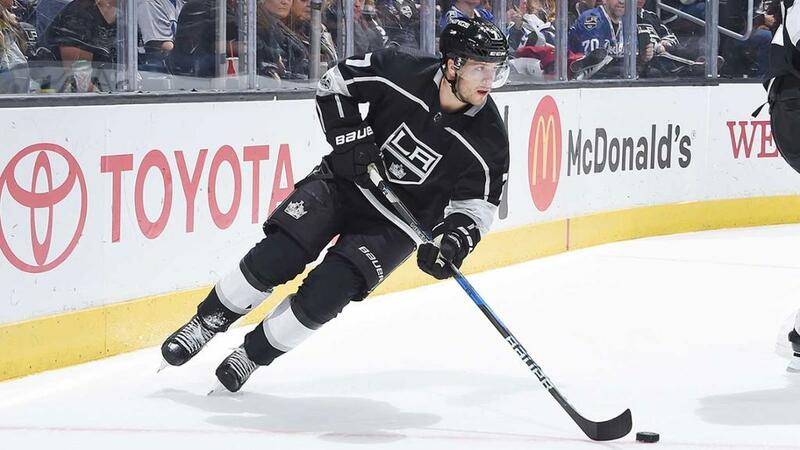 The Los Angeles Kings have signed defenseman Oscar Fantenberg to a one-year contract extension, Kings Vice President and General Manager Rob Blake announced on May 19. Fantenberg’s contract carries an AAV of $650,000 at the NHL level. The 26-year-old Fantenberg (born Oct. 7, 1991) is a 6-0, 210-pound native of Ljunby, Sweden who made his NHL debut last season with the Kings, appearing in 27 games, recording nine points (2-7=9), a plus-2 rating and 11 penalty minutes. His first NHL game was on Oct. 5 against the Philadelphia Flyers, and he recorded his first NHL point on Oct. 14 against the Buffalo Sabres (0-1=1). Fantenberg appeared in all four playoff games for the Kings, recording one point (0-1=1) and two penalty minutes. During Game 2, he played in a career-high 41:10 TOI, during a double overtime loss to Vegas, the longest game in team-history.